Home » Posts tagged with "animal lawyers"
OTTAWA—An Ontario court has struck down the province’s animal protection law enforcement regime, declaring that it is unconstitutional for the Ontario SPCA—as a private charity not subject to reasonable oversight measures—to enforce public animal protection laws. The Superior Court decision was released yesterday in Bogaerts v. Attorney General of Ontario, a constitutional challenge to Ontario’s provincial animal welfare laws and the way they are enforced. The decision recognized a new principle of fundamental justice, declaring that under section 7 the Charter of Rights and Freedoms, it is unconstitutional for the province to assign police and other investigative powers to a law enforcement agency not subject to reasonable standards of transparency and accountability. The Ontario SPCA is not subject to freedom of information laws or the Police Services Act that apply to other law enforcement bodies. The Court suspended the declaration of invalidity for 12 months to give the province time to devise a new animal protection regime, stating it would be “an untenable result” if a void of enforcement compromised animal protection even for a transitional period. The Court also considered whether Ontario SPCA search and seizure powers were too broad, and whether provincial animal protection offences are truly criminal in nature and fall outside provincial jurisdiction, but found that powers and jurisdiction were both appropriate. In particular, the court adopted Animal Justice’s argument that search and seizure powers must be robust because of the importance of protecting animals, who are often kept behind closed doors and cannot report abuse themselves. The case was argued on May 16, 2018 in Perth, Ontario. Animal Justice was represented by lawyers Arden Beddoes of Arvay Finlay LLP, and Benjamin Oliphant of Gall Legge Grant Zwack LLP. It is unknown whether the decision will be appealed. The decision in Bogaerts v Attorney General of Ontario 2019 ONSC 41 can be found here. CALGARY – National animal law non-profit Animal Justice has filed a complaint with the Calgary Humane Society over shocking animal cruelty alleged to have occurred at a University of Calgary psychology research laboratory. According to a news report, multiple former students have come forward to blow the whistle on disturbing experiments conducted in an addiction research laboratory supervised by assistant professor Devran Lovic. The whistleblowers allege that rats were improperly anesthetized, causing multiple rats to wake up during surgery. On at least one occasion, researchers allegedly continued to perform surgery on a conscious rat, restraining the distressed animal with a surgical pad while his back and neck were cut open. Lovic has been on leave since December 2017, and the University apparently shut down his laboratory in March. Animal Justice is also criticizing the University of Calgary’s response to the troubling allegations, and is calling on the University to come clean and release publicly any documents associated with the experiments in question. Federally, Canada has the weakest laws in the western world for protecting animals used in research. Unlike in other countries, here are no federal laws, no inspectors, no public inspection reports, and no way for the public to effectively oversee the secretive activities of animal researchers. Instead, there are only voluntary guidelines created and overseen by the Canadian Council on Animal Care (CCAC), a non-profit with no legal authority. The CCAC can recommend that the federal granting agencies withdraw research funding from a non-compliant institution. There is no evidence that this has ever occurred or that funding has ever been withheld. However, Alberta’s provincial Animal Protection Act makes it mandatory for researchers to comply with CCAC guidelines. The CCAC’s Guide to the Care and Use of Experimental Animals states that appropriate anesthesia, proper instrumentation and competent pre- and post-operative care are all essential to the welfare of the experimental animal. It requires that all surgical procedures are to be carried out under anesthesia; that those doing surgery have an obligation to be aware of the efficiency of the anesthetic technique being used; and that it is the responsibility of the surgeon and anesthetist to ensure that this animal is spared discomfort during the entire peri-operative period. Failing to comply with these measures is illegal. Animal Justice is also calling on the CCAC to recommend that funding be withheld from the institution for failing to comply with CCAC guidelines. The Canadian Council on Animal Care Guide to the Care and Use of Experimental Animals can be found here. 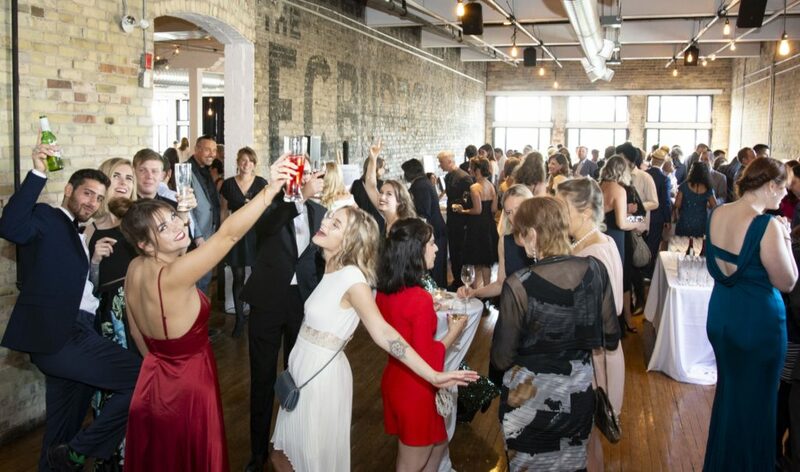 On June 8, 2018 Animal Justice celebrated its 10-year anniversary with a glamorous gala at The Burroughes in downtown Toronto. This inspirational evening included a blue carpet entrance and photo backdrop, an memorable program, fabulous vegan food, and a rooftop after-party with views of the CN Tower. 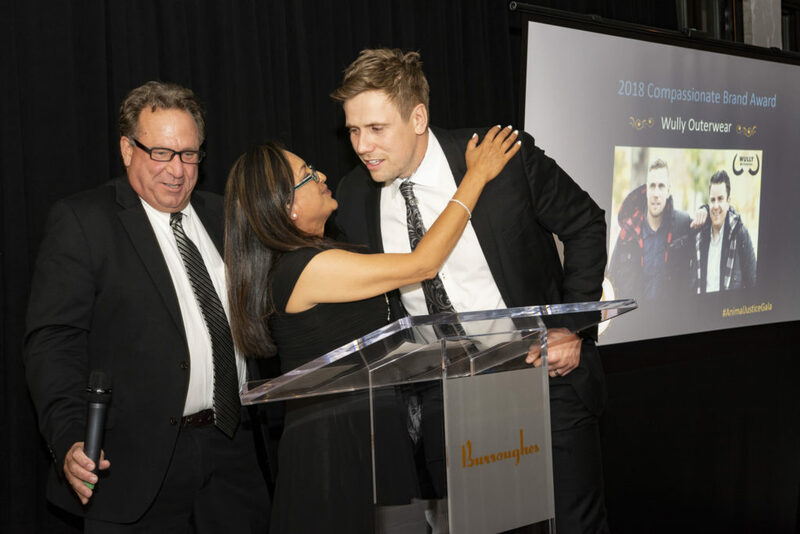 Guests included many of Canada’s most notable animal advocates, animal-friendly business owners, prominent chefs Doug McNish and Amy Symington, and Members of Parliament Nathaniel Erskine-Smith and Will Amos. 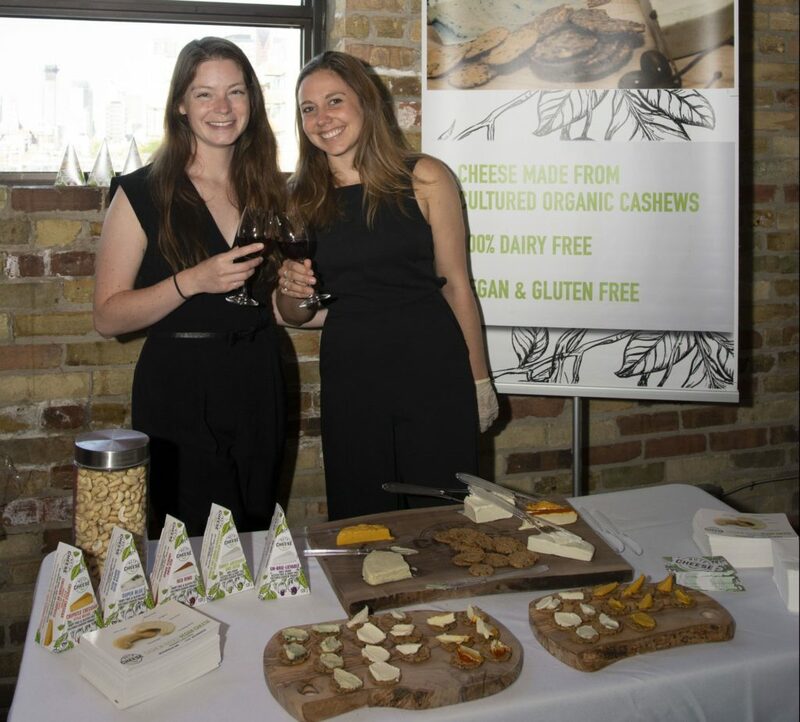 The gala kicked off with a stylish cocktail reception, featuring delicious hors d’oeuvres, mouth-watering vegan cheese from local companies Vegan Stokes Cheese and Nuts for Cheese, and wine from vegan-certified winery Karlo Estates. 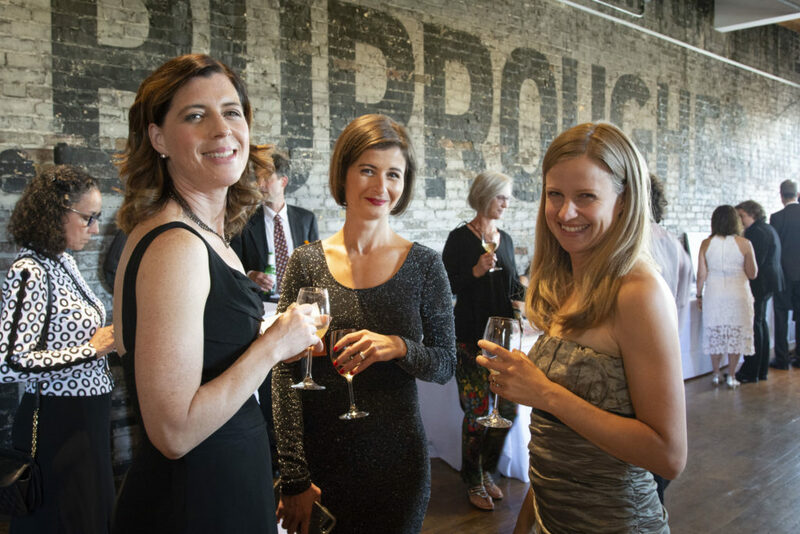 After mingling at the reception, guests were ushered into the main hall for a delicious three-course dinner and unforgettable program, hosted by emcee and Animal Justice board member Kimberly Carroll. 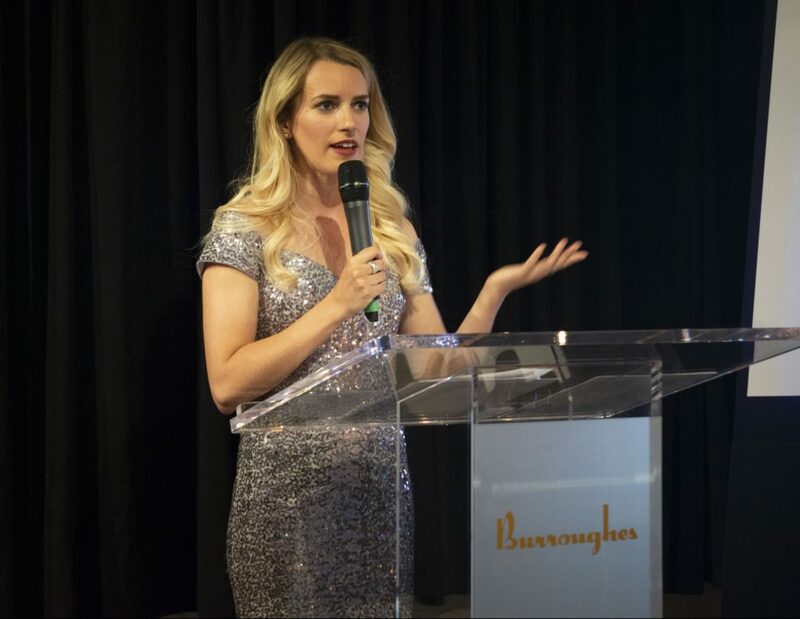 Guests were treated to the premiere of an inspirational, no-dry-eyes film showcasing the incredible work of Animal Justice and its lawyers over the last decade. 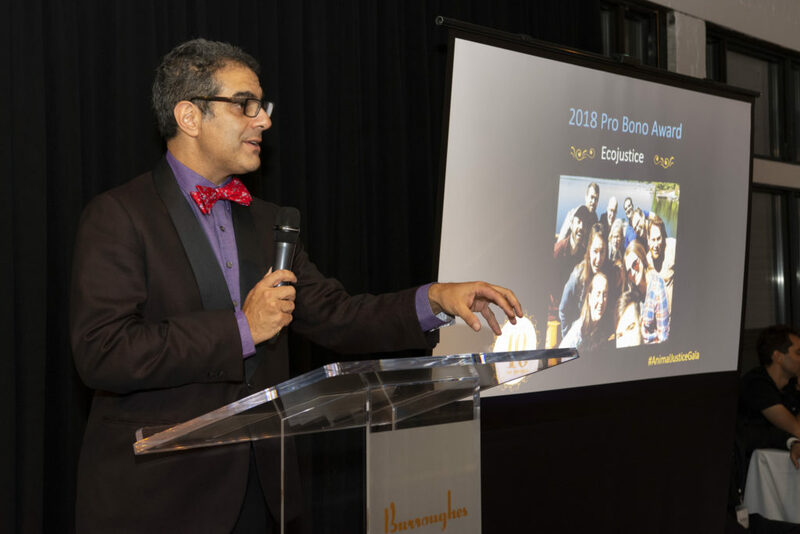 Founder Nick Wright then addressed attendees, explaining what it was like in the early days of Animal Justice and describing the organization’s amazing growth. 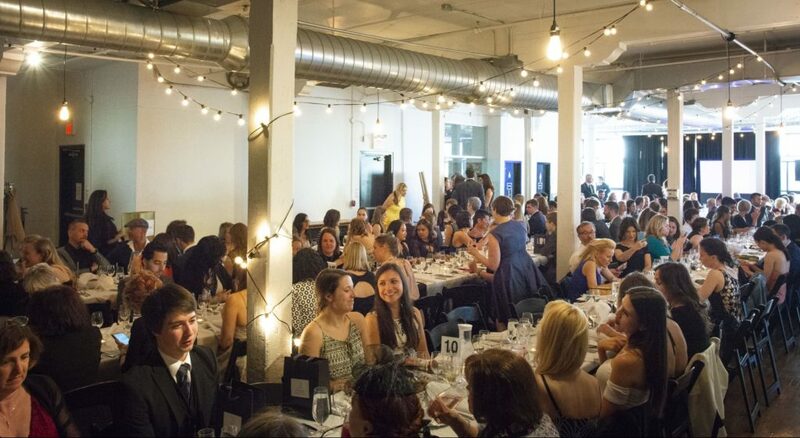 After a decadent dessert prepared by Chef Amy Symington, Animal Justice honoured some remarkable individuals and business with awards for their work on behalf of animals. Ecojustice is Canada’s leading environmental law charity, and represented Animal Justice in a lawsuit against the Ontario government to protect threatened and endangered species. Thanks to the work of the brilliant legal team at Ecojustice, the lawsuit got action on creating recovery strategies for 37 at-risk species. Ecojustice lawyers Amir Attaran and Sarah McDonald accepted the award. Conservative Michelle Rempel was honoured for introducing a bill to protect animals from sickening sexual abuse. Animal Justice is proud to have worked with MP Rempel on this legislation, and applauds her commitment to improving Canada’s animal protection laws. MP Rempel’s legislative affairs manager Bari Miller kindly accepted the award on her behalf. 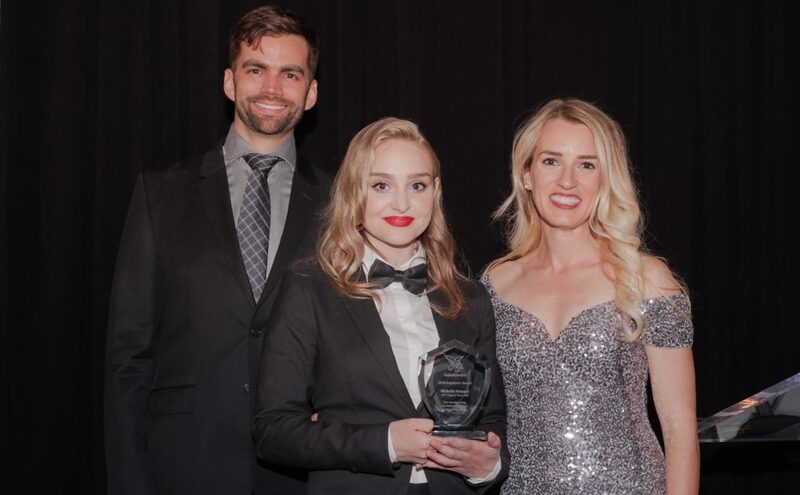 Andrew Balfour of Navigator and Caitlin King of Ensight were honoured for assisting Animal Justice in the fight to pass a national ban on whale and dolphin captivity. Their continued efforts to support this groundbreaking legislation have been crucial in helping Senate Bill S-203 swim through the legislative process. Wully Outerwear creates cruelty-free luxury outerwear designed for the harsh Canadian climate, all without the use of fur or down. Wully’s brand of compassionate fashion is taking the world by storm—fur trim, beware! 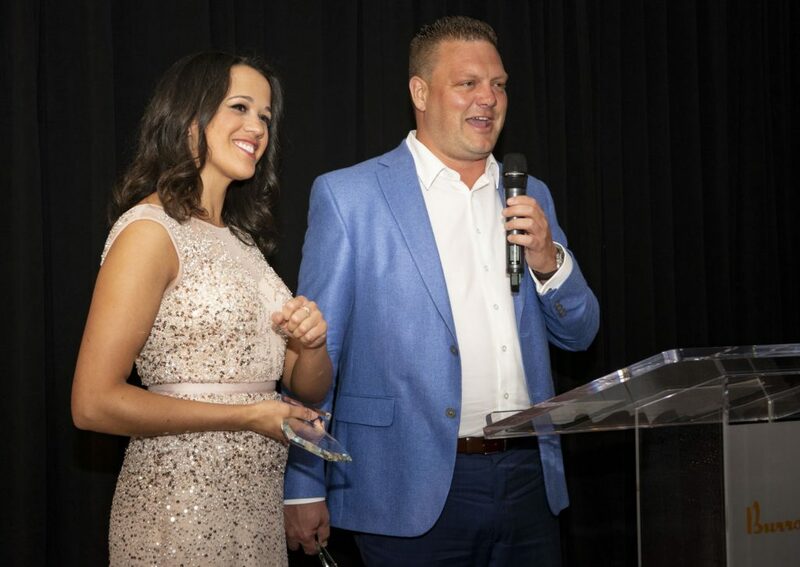 Wully founder James Yurichuk accepted the award. 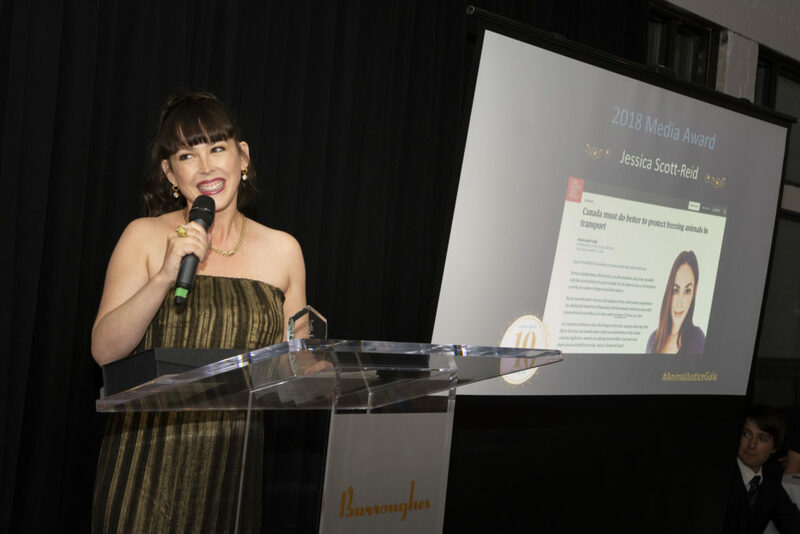 Jessica Scott-Reid’s prolific journalism has shone a spotlight on animals, and she publishes regular opinion columns in major national newspapers and magazines. From Drake’s move to a meat-free diet, to undercover investigations, to the crooked ploys of the farming industry, Jessica’s written words are raising the national profile of animal issues. The program finished off with a high-energy fundraising round led by Camille and Nick Wright. 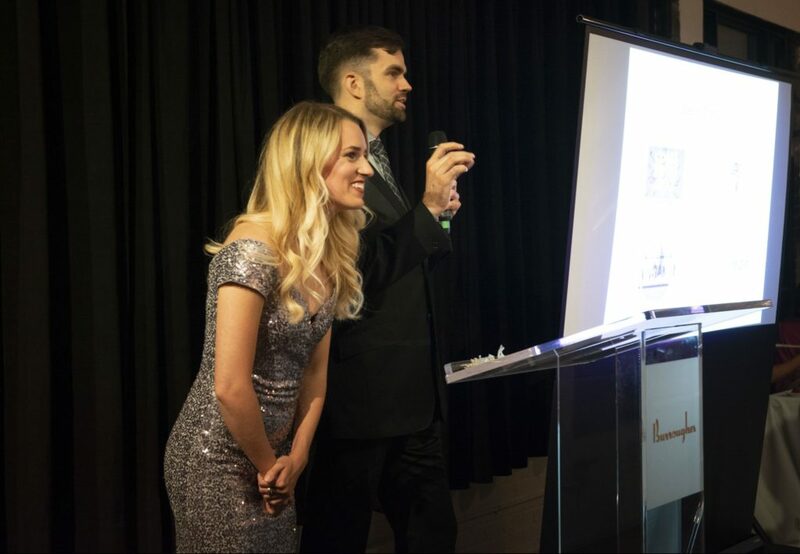 Thanks to the generosity of guests, the gala raised over $47,000 to help animals! 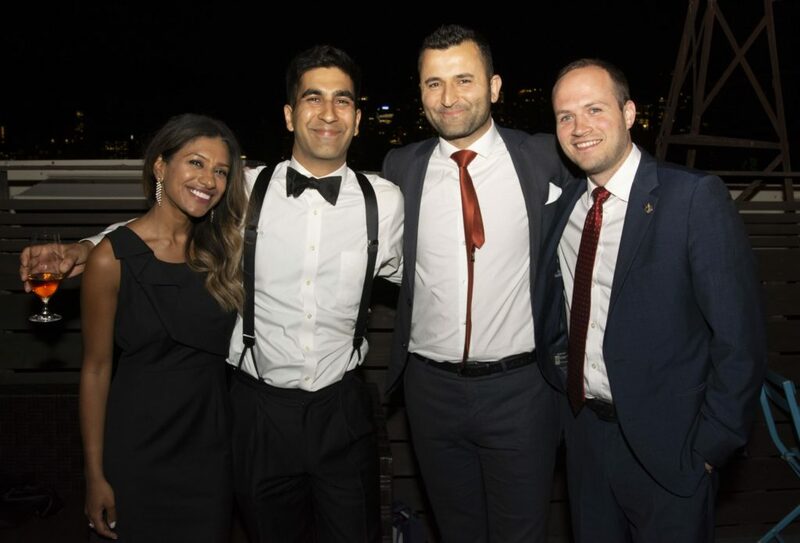 The evening continued with a roof-top after party, where guests were treated to a sky full of stars, and views of the vivid Toronto skyline. Animal Justice thanks each and every guest, our fabulous host committee, staff, and volunteers, and our generous sponsors, including Vegan Stokes Cheese, Nuts for Cheese, Gartner & Associates Animal Law, Hearty Catering, the Stanford Inn, Toltec House, Karlo Estates, Bantr Media, BIO RAW, Flower City Soap Company, Bhanda Bar, Anderson’s Interior Design, and Gardener Dental Group. 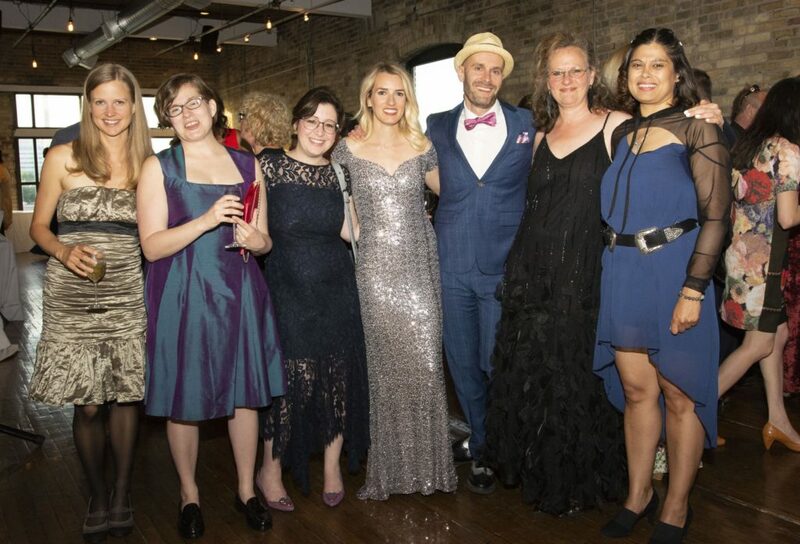 Couldn’t make it to the gala but still want to help Animal Justice represent animals in court? Click here to make a gift today! The US said it did not think he had the authority to cut ties and it would conduct relations with a government led by opposition leader Juan Guaido.